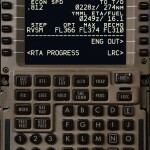 Recently I’ve had a couple of discussions about the Cruise Center of Gravity (CoG) setting/default in the B777 Flight Management Computer (FMC). 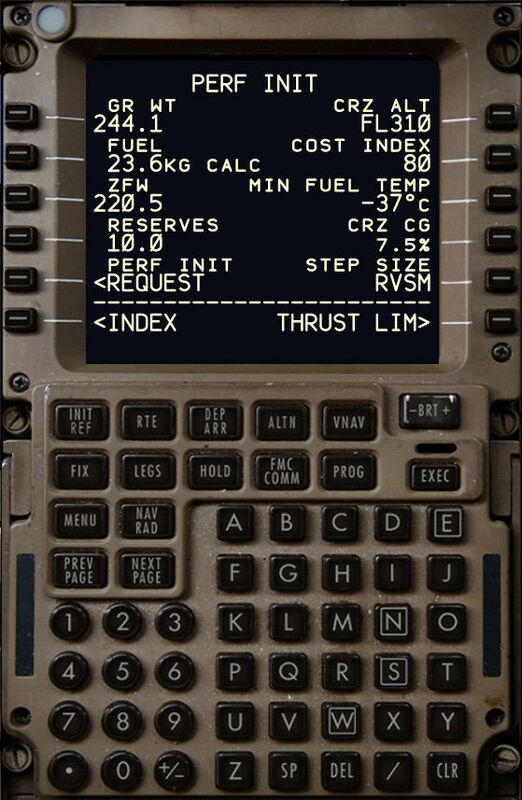 Basically the 777 FMC comes with a default Cruise CoG setting on the PERF INIT page (shown). 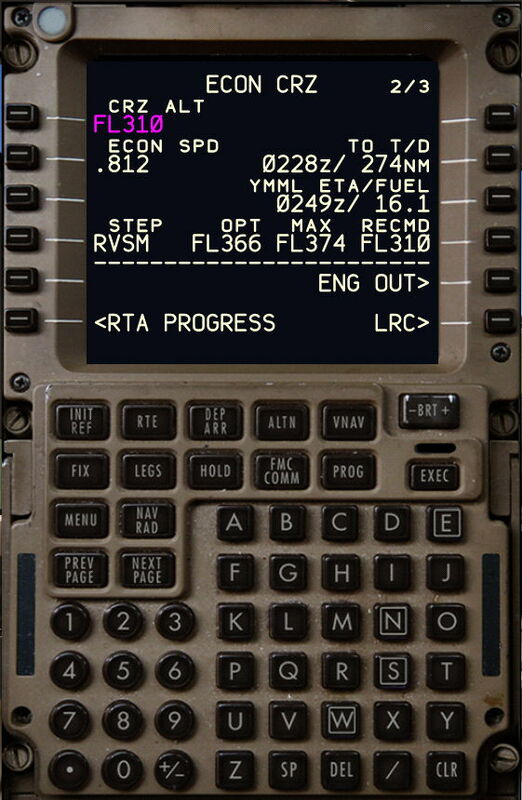 The FMC has a default value (small font) and valid pilot entries vary from 7.5% to 44%, although the typical operating range for a 777-300ER (in my experience) is 25% to 35%. Usually the further aft the aircraft is loaded, the better for improving takeoff performance and cruise performance (although not aircraft handling) – for reasons explained at the bottom of this article. In our 777’s this default is 30%. This is a pretty good approximate mid range setting. So good in fact that if you update it to the actual value on the day – a change of +/- 5% only results in a Max Alt change of a a couple hundred feet at most. Since we rarely travel around at Max Alt and instead usually maintain a margin 500 ft or so (by habit, training and common sense, rather than SOP) – this difference doesn’t change much. I’ve recently discovered that there are still some airlines operating their 777’s with a default of 7.5%. 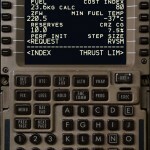 This means that their VNAV Cruise Page is calculating Maximum Altitude with a falsely low value. While safe and conservative – it’s not especially accurate, and could have the result of preventing crew from climbing when the option is available. At this point there would seem to be three options. (a) leave it alone; (b) introduce a near-enough default; or (c) introduce a procedure where an accurate value is calculated from the loadsheet and entered in cruise. While reviewing the issue with the training manager of the particular airline, we diverged down the road of an interesting discussion of the benefits of a changed default vs a procedure. A changed default will serve most purposes most of the time, potentially introducing a small error (not always on the conservative side) where the default is different from the real value, but with little or no impact. The alternative is to introduce a written procedure the crew would utilise to determine an accurate cruise value from the loadsheet and enter it into the FMC – but introduce the opportunity for error. I was on the side of (b) – but this may as much be a situation bias on my part since this is how we operate. 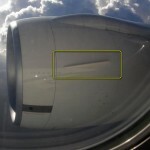 Why do some 777-300ER’s have a default of 7.5%? 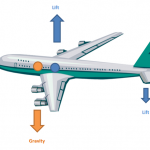 Aircraft Center of Gravity (CoG) is a term used in reference to the loading of an aircraft. Based on the inherent aircraft design, augmented by the distribution of load (Passengers, Freight, Fuel, etc) along (and across) the aircraft, the theoretical position of the CoG?is calculated. 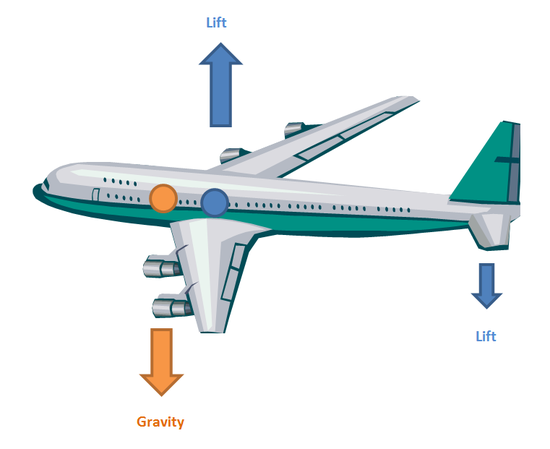 The effect of gravity pulling the aircraft down towards the Earth can be thought of as acting through this point. ?For a variety of reasons the CoG is expressed on the departure paperwork (and entered into the FMC) as a percentage figure (of the Mean Aerodynamic Chord or MAC). 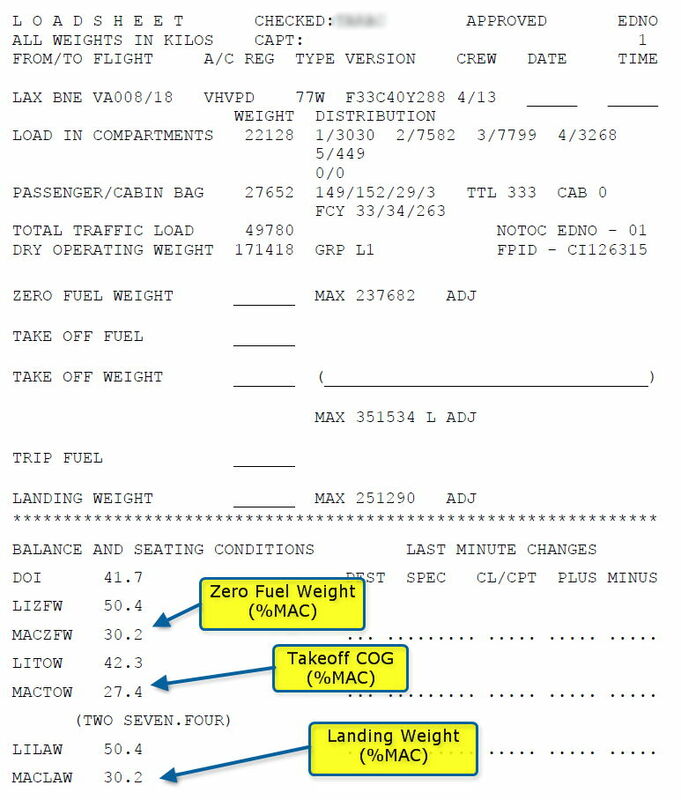 Several MAC’s are given on a loadsheet – Takeoff MAC (the position of the CoG in relation to the MAC as the aircraft is loaded for Takeoff, the Zero Fuel MAC (CoG/MAC when the aircraft is loaded but empty of fuel) and the Landing MAC. 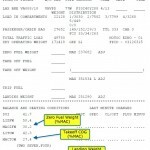 These are provided because the loading certification rules require the aircraft to be checked in balance at these points within the limitations proscribed in the manufacturer Aircraft Flight Manual (AFM). 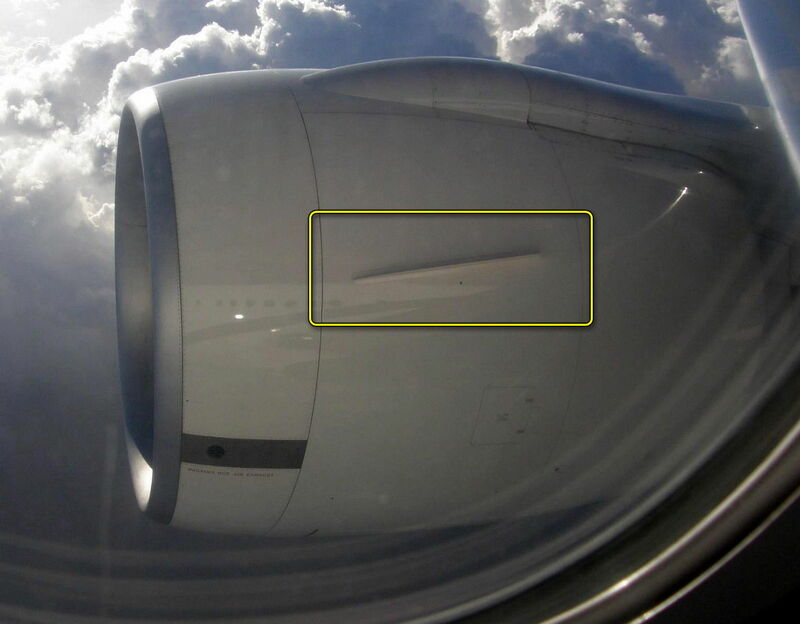 The lifting aerodynamic force of the wing(s) acting on an aircraft in flight can be thought of as acting through a point called the Center of Pressure?(CoP). Again – we’re simplifying?here. The CoP is basic a vector summation of the various aerodynamic forces acting on the wing, much as the CoG is a summation/average of the gravity and control forces acting on an aircraft. Only a basic concept of these two terms is required for the rest of this article. The forces acting on an aircraft must remain in balance in respect of each other – otherwise the pilot would lose control of the aircraft. While most think of the wings as the source of lift on an aircraft – in fact the aircraft Tailplane or Horizontal Stabilizer is an aerodynamic surface in it’s own right and plays a pivotal role in balancing the aircraft. As can be seen here, the tailplane is producing lift in a downwards direction to counter-act the relationship shown of the CoG in front of the CoP – and so the aircraft is in balance. The important thing to note is the the further the distance between the CoG and the CoP, the more downward force (negative Lift?) is required to balance the aircraft. This negative lift reduces the total lifting force of the aircraft, and lowers the efficiency of the flight overall. In essence – the more forward the CoG, the less efficient the flight. Basically – more fuel required/burned.